As the summer heats up, the BET Awards cause a buzz of excitement as favorite nominees are named and ultimate winners announced at one of black entertainment's most prestigious award shows. This year, watch for BET Award nominees to be announced in May followed by a glittering awards ceremony televised live on BET on Sunday, June 23, 2019 beginning at 8PM ET. Meanwhile, keep it here for more updates on who will host, the complete list of nominees, as well as presenters, performers, and big winners at the 2019 BET Awards. The 2018 BET Awards was televised on BET on Sunday, June 24, 2018 at 8PM ET live from the Microsoft Theater in LA. 2018 BET nominees (see below) were announced on Tuesday, May 15, 2018. Leading the pack was DJ Khaled with six nominations including Album of the Year for "Grateful" and Video of the Year for "Wild Thoughts". Kendrick Lamar followed with five nods. SZA and Migos earned four nominations each. 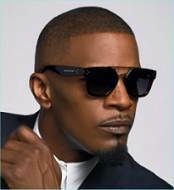 Jamie Foxx hosts the 2018 BET Awards. Hosting this year's ceremony was funny man, singer, and Hollywood actor Jamie Foxx who returned to MC for the second time after hosting his first BET Awards in 2009. The performance lineup for the 2018 BET Awards included Nicki Minaj, Janelle Monáe, Migos, Ella Mai, H.E.R., Meek Mill, 2 Chainz, Big Sean, YG, Miguel, Daniel Caesar, Jay Rock and Yolanda Adams. Presenters on the big night included Tip “T. I.” Harris, Kevin Hart, LL Cool J, Chloe x Halle, Yvonne Orji, Bobby Brown, Trevor Jackson, Jason Mitchell, Mike Colter, Woody McClain, Jacob Latimore, Gabrielle Dennis, Tyler Perry, Regina Hall, Amanda Steinberg, Tika Sumpter, and Omari Hardwick. Honored with this year's BET Lifetime Achievement Award was R&B great Anita Baker. And, for the first time ever, BET bestowed the "Humanitarian Heroes" Award. Inaugural honorees - including James Shaw Jr., Naomi Wadler, Mamoudou Gassama, Justin Blackman, Shawn King and Anthony Borges were honored for taking a stand for human rights. Record wins at the BET Awards. • With an average 7 million viewers, the BET Awards remain the highest rated awards shows on cable television. • The most nominated artist at the BET Awards is Beyoncé with 61 nominations (56 solo and 8 with Destiny's Child). She also leads in wins with a total of 27. Chris Brown follows with 37 nominations and 14 wins. • Hip hop artists OutKast took home the first-ever BET award trophy during the first BET Awards ceremony on June 19, 2001. OutKast also won Video of the Year that night for "Ms Jackson". • Following the passing of Michael Jackson, the BET Awards scrambled to revamp the ceremony. Within three days of its airing on June 28, 2009 the ceremony became a tribute to the fallen star as routines were hurriedly changed to include Jackson's greatest hits. • The only BET Ultimate Icon Award to date was awarded to Janet Jackson in 2015, which recognized her as a game changer in the fields of music, dance and video performances. Sean Cosgrave is a frequent editorial contributor to Chiff.com. * Dj Khaled Feat. Rihanna & Bryson Tiller - "Wild Thoughts"
Dj Khaled Feat. Future, Beyoncé & Jay-Z - "Top Off"
Janelle Monaé – "Django Jane"
* Mary J. Blige – "Strength Of A Woman"
* Drake - "God's Plan"
* Lecrae Feat. Tori Kelly - "I'll Find You"
Snoop Dogg Feat. B Slade "Words Are Few"